In 2016 BIJOU had three seasons, two in Melbourne (La Mama Courthouse and The Butterfly Club) and one in Sydney at The Depot Theatre. Reviews of all seasons were positive. See the Reviews Page for quotes. For 2017, we await confirmation of performances to come. BIJOU is part of the 2016 Famous Spiegeltent Season in Canberra. On March 8th at 6.30pm you can celebrate International Women’s Day by coming to see BIJOU in that wonderful and colourful venue. Go to http://www.canberratheatrecentre.com.au to book, and yes, help to support a team of local professional theatre/music artists by coming and experiencing their work! We have two seasons of BIJOU this year, one in Melbourne at La Mama’s Courthouse Theatre in June, and one in Sydney at The Depot Theatre, August 17 to 27. And also some more regional shows: Cooma on July 16, and Orange as well, date to be confirmed! Tours all done, Pozible supporters have nearly all got their rewards…just a couple of house shows to do! A very big thanks to all who helped us get on the road. The show went well in the towns. A highlight was the last minute show at the Tamworth Services Club. With only a couple of days’ notice we got 17 people, an interactive crowd they were too! At Bowraville and Wauchope the audience came to the show all dressed up, ready for a party. Such fun, and wonderful audiences as well. They even survived the gritty bits in the show! NOW the really BIG news! We are doing a return season at The Street Theatre, Canberra, in September this year. Last time we did the show, our premiere season in 2013, the show sold out by the middle of the first week. Now we only have 6 shows, so hope we get the people who missed out to come along! The show is now well run-in and due to some editing, is a new streamlines version. Alan Hicks the wonderful ‘bar pianist’ has a new song which opens Act 2, all about a bar musician who finds love. 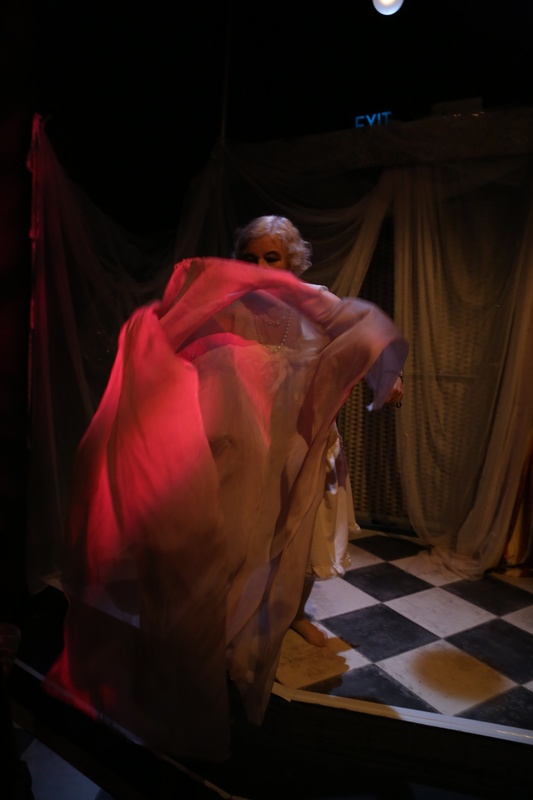 So come one and all to see BIJOU take over the Bar de la Rue (Street 2) with her tales of love, loss and determination!